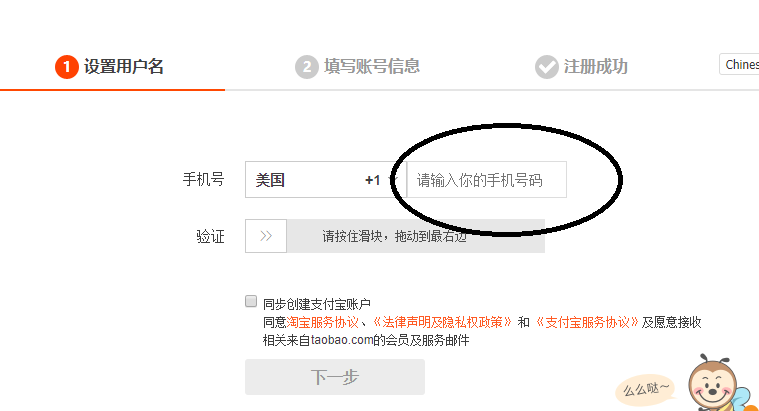 Go to Taobao main page - This is the global page, but it doesn't matter. You can toggle between countries later. They're linked. They send you a text with a number. Put the number in the next box below. Then you fill out your name and address. 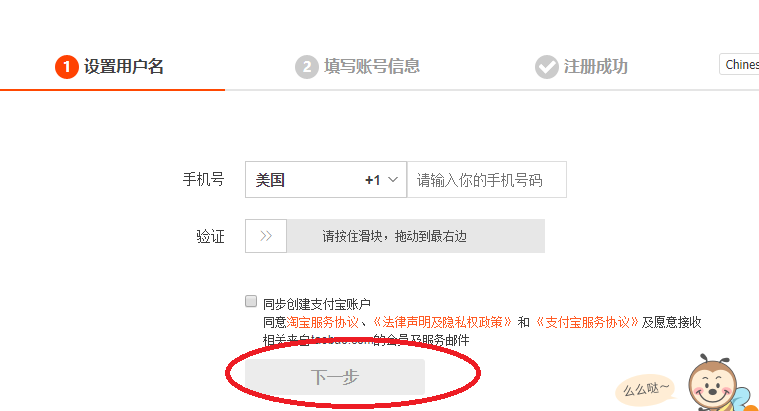 For username they ask you to used Chinese simplified characters. Just use a string of numbers. I can't go further with mine as I've already registered my phone. But when you get this far post a screenshot if necessary and I'll walk you through. Fill out your name, address, username and password. When you've done that, log in. You can hit google translate on every screen. Go to the top left of the screen. To where this red circle is. Search Chinese N scale with this phrase. It seems to work better with Chinese characters. It translates roughly as "N ratio product". 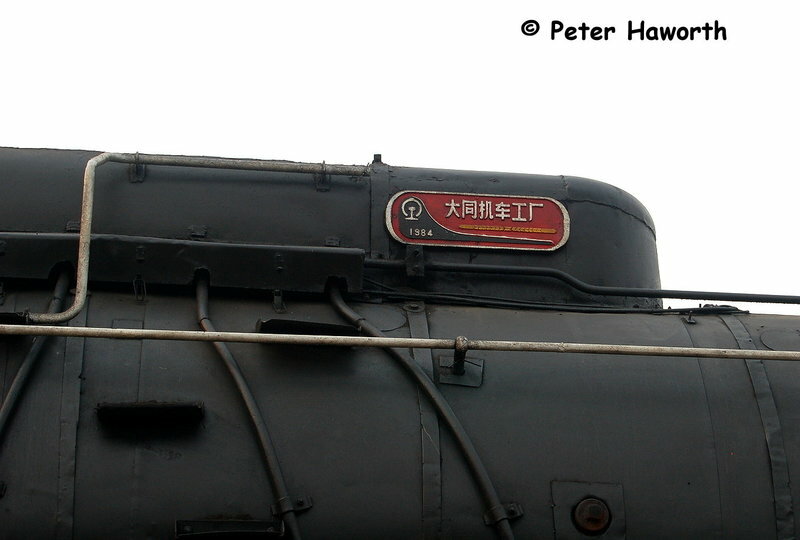 Or use this site "Nanchang Coaltrain". It seems good. Ok, I think I got it! Turns out you can use English characters as well for registration. Thanks for helping, once I got google translate on it got much easier. Yes, you can. But they specifically tell you to use Chinese characters for your username. I'd recommend you either do that or use numbers, so that the merchants will assume you are "overseas Chinese". If they think you aren't they're more likely to treat you worse. Btw a string of numbers for a username is a fairly normal name for a Chinese person to choose. Thanks for the tip! Unfortunately its too late for my account but I'll keep it in mind for the future. I guess I must have gotten complacent after the ease of dealing with Japanese sellers. Thanks JR, that would be great! My Taobao name is 张志明1944. That's my "Chinese name" plus a random number. Strange but I used my own name in English when I registered... perhaps because Sillypore is covered under the original Taobao scheme, that along with Malaysia, Hong Kong and Macau. DF11z and DF11g locomotives announced from Minitown! Plus container flatcars, all in N scale. 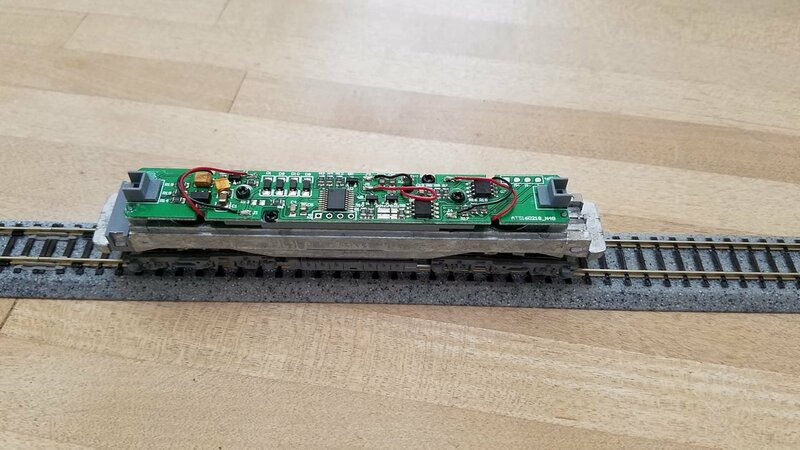 I'm certainly excited, the DF11z will go nicely with some CMR 25 series passenger cars to make a modern express train, plus you can now model Kim Jong-un's train when he visits china. The container flat is a welcome addition and will go well with the DF4b's I just got, as well as look good with Minitown's other N scale freight car offerings. The DCC decoders they come equipped with are nice, they have momentum built in and come with working taillights too. Speed step 1 is probably about 15 mph but I don't mind too much, I wasn't able to get to top speed on my small test track. (Update: the full speed is respectable but realistic. I'm not sure what the scale speed would be but it probably is pretty close to the actual max top speed, maybe 70-80 mph) The wheels have a lot of play but are in gauge, they seem to be designed to intentionally slide to allow the unit to make much sharper curves. Detailing is very good for a $80 locomotive, separate grab irons and hand rails, the painting is well done although there are a few small sposts I notices which weren't fully covered, although these didn't detract from the locomotive unless you are super close up. Comes with an NEM (?) socket and matching knuckle and rapido couplers, the knuckles seem fine but I would like to get some more modern operating ones to upgrade it. 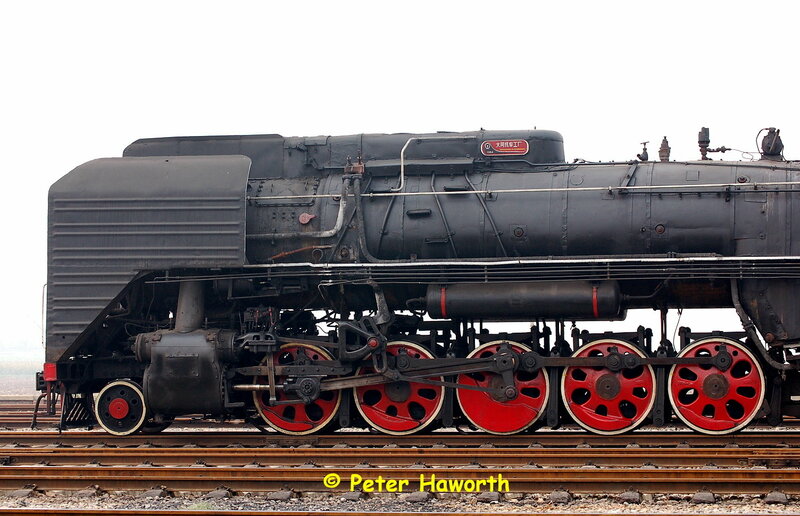 Running the loco is smooth and quiet, all 12 wheels pick up power and are geared so I imagine the loco will have no trouble pulling longer trains, even without traction tires. >What does the drive look like? It seems to be the standard motor in a single cast frame, pick up is transferred via soldered wires and the wheels are all geared. Power seems to be transmitted from the motor flywheels via a driveshaft to the trucks. The wheels are in gauge but seem to be designed with a sliding mechanism to allow tighter turns. >how does it compare to kato? I'd say that I like the soldered pickup more, it seems less susceptible to dirty track or bad trackwork. It is equipped axle cup type electrical pickup, which seems to work well. It seems to run just as smooth as a kato and actually is quieter than most of my katos. The build quality feels cheaper than kato's, not quite as sturdy and the molding isn't as precise, but then again it runs much better than the modern bachmann SD45 which I've worked on for a client, all for 1/2 the price. >How about the DCC part? Seems to be solid. Runs well on address 3 straight out of the box, comes with realistic but not overdone momentum already programmed in. The slowest speed at speed step one a little fast, I'd say it's about 10mph. However I haven't played with adjusting the CV for speed yet so it may be able to be reduced a lot. To be fair the movement at that speed was dead steady, no jerks at all. The lights respond to the direction and have fade programmed it which seems to be to mimic the incandescent bulbs heating up/cooling off. A nice touch but it takes slightly too long imo. Awesome! Looking forward to seeing it pulling some coaches! Also looking forward to ordering and receiving my own!! Interesting! While I have seen them on the web, I have never actually seen how the motor looks like! I am having an issue changing any CV values on the factory CMR decoder. Digitrax keeps reading "good" but the values don't seem to be changing. I've heard that with some brands of decoders digitrax base stations don't put out enough power normally to program (usually with certain sound decoders) but this can be fixed by adding an resistor across the programming tracks to increase power draw. I'll play around with the issue and report back. I've heard that with some brands of decoders digitrax base stations don't put out enough power normally to program. I've had this issue with Fleischmann decoders. They didn't respond to the Digitrax system unless the voltage was set to HO. On HO voltage programming was straightforward and simple. Unfortunately with the Fleischmann they also wouldn't respond at all even after programming unless the voltage was kept set to HO. So I swapped them out. I hope that isn't also the case with these decoders. Unfortunately even on the HO setting the decoders will not program, not really sure what to do at this point. I'd be ok running it on 03 other than I got another one for a friend and this would limit us from both running at the same time on the club layout. There are 3 programming commands in DCC (paged, direct and pom) and the decoder might not support the one used by the central. You could try to switch the mode or use a different central. Any update on this Kiha? Sorry! My older computer went down the other day so it completely slipped my mind once I got the new one up and running. So via trying all the programming methods multiple times i was able to get CV2 to change, as well as change the address to a 2 digit number. I think it was the OPs mode programming that worked the best, but it took a few tries going through each before any value would change, and often nothing would happen. I programmed the locomotives to the last two digits on their road number and also programmed CV2 to a value of 0 to give the locomotive a very slow first speed step. On my home setup using the digitrax DB150 base station, they run beautifully and are responsive once the programming is done. Unfortunately when I got to the club layout, both locomotives were completely unresponsive. I also tried using JMRI at the local club to program, but it was unable to get any read from the decoder and was a bust. Once back home they again run amazingly well, I suspect the non-standard decoder and 2 digit address were the cause of the non-operation that the club, despite the club also using digitrax as the DCC stations. They both seem to run on DC as well, so whatever decoder CMR has devised seems to be dual mode too. I would recommend skipping the DCC version if a DC version is available, and simply installing a decoder yourself. 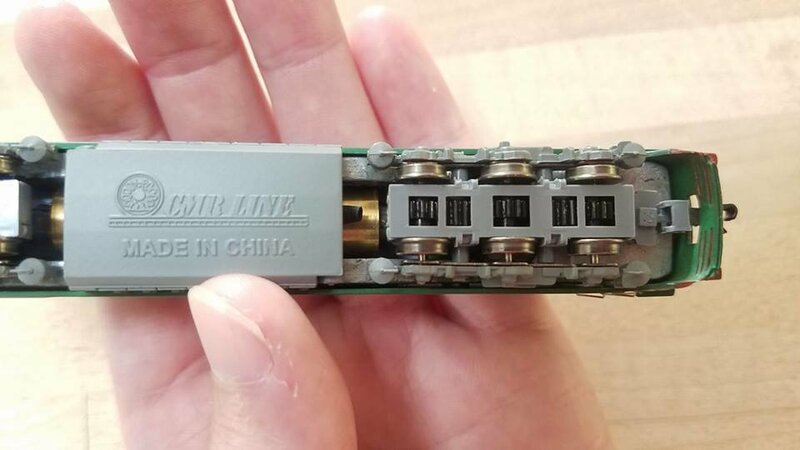 As the motor and trucks are wired to the existing board it would be very easy to desolder them and attach them to the appropriate leads on another brand of decoder. The only issue may be the tail and head lights, although the existing board could probably be used when attached to the headlight leads. I won a DC DF4d on ebay for a good price this weekend, so when that arrives I will examine how to best convert one over and post that here, which should be the same for the DF4b as well. Thanks for the update. The duel function capability is the source of the problem with the Fleischmann decoders too. I'll see if there's a DC version. But if mine ran at home on my Digitrax system that would be fine for me. I really don't take them anywhere else. Also, I'm sure if I took a bunch of Chinese trains to any place around here the train guys would be horrified! Actually most of the ones I've seen for sale are DC, the taobao ones are the only DCC versions I've seen. Luckily after the first few months of comments people here have gotten used to Sam being the "Asian trains guy". Sometimes now if they find something they don't understand they just give it to me. 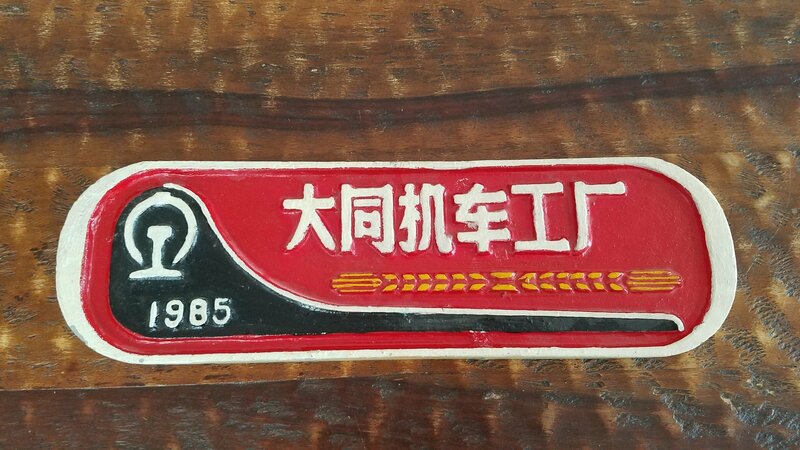 I actually got given a Chinese QJ class locomotive builders plate a few weeks ago cause the guy had no idea what it was, but knew it had Asian characters so I might like it! Just gotta get them used to it, and soon enough they'll admit to being curious too!